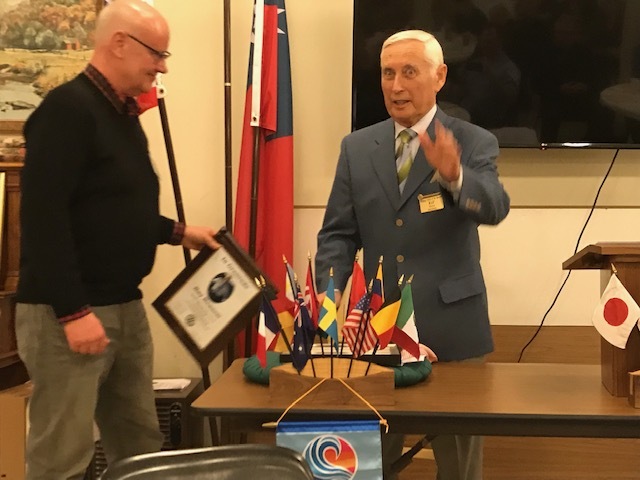 On Monday’s meeting of the Rotary Club of St. Marys, Bob Stephens gave an eloquent and fitting tribute to Ray Bennett in recognition of his three decades of service towards the realization and continued operation of the Parkview West and Parkview East developments, which include sixty-nine life lease residential dwellings for seniors. 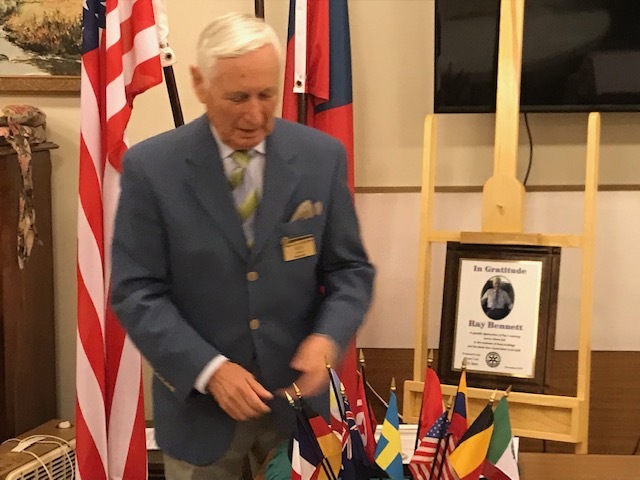 Excerpts of Stephens’ tribute are as follows: “Dedicated and committed volunteers are ‘the coin of the realm’ for service clubs, and little can be accomplished without them. And the fact that this club successfully completes the number of important projects each year that we do is a testament to the quality of the volunteers. We Rotarians have been meeting weekly in this room for thirty years. How this room and this building became our permanent home is part of a much bigger story about how a small number of Rotarians in a small town, without capital of their own, set out to resolve what they considered to be at the time the community’s greatest need: the absence of housing for seniors. “Ray Bennett was a member of the original steering committee and many others that followed. He’s been a member of the Board of Directors of Parkview since day one. He’s been front and centre of most developments in and around these buildings since the earliest days before construction began. It’s difficult even to contemplate attending all of the monthly meetings; being the Treasurer; setting budgets; being the go-to person for those wishing to purchase or sell; helping to resolve issues that arose; being intimately involved in maintenance and upkeep; being the eyes and ears for Rotary and the life lease owners; and the list goes on and on. But imagine doing that for thirty years... always with a sense of fairness, good humour, and patience. Ray was the perfect person to keep an honourable balance between the interests of our club as the sponsor of the project and the life lease owners who in purchasing it placed their trust in us. “Thirty years ago, Ray was operating a very busy men’s clothing retail store. He had a family and a busy life, and this wasn’t his only involvement requiring his time and energy. We can only imagine the sacrifices that he’s made, not to mention the sacrifices of his wife Jo and his children and grand-children. 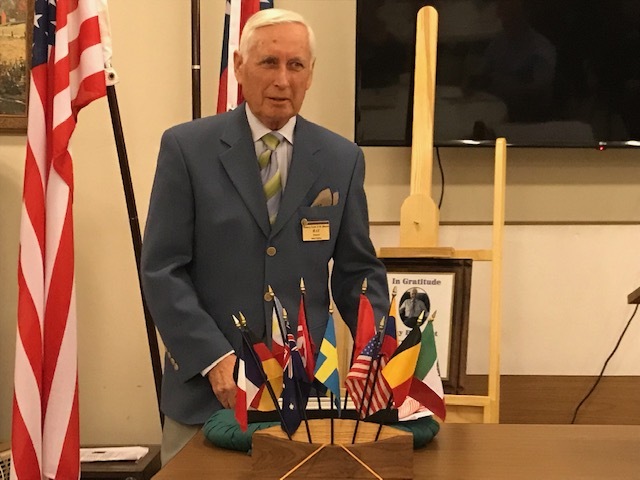 More than any other Rotarian, past or present, who’s been involved with Parkview, Ray has been the necessary ingredient. “This plaque with Ray’s picture will hang in the entrance to Parkview West. It will serve as a reminder to us that truly great things can be accomplished by committed volunteers. 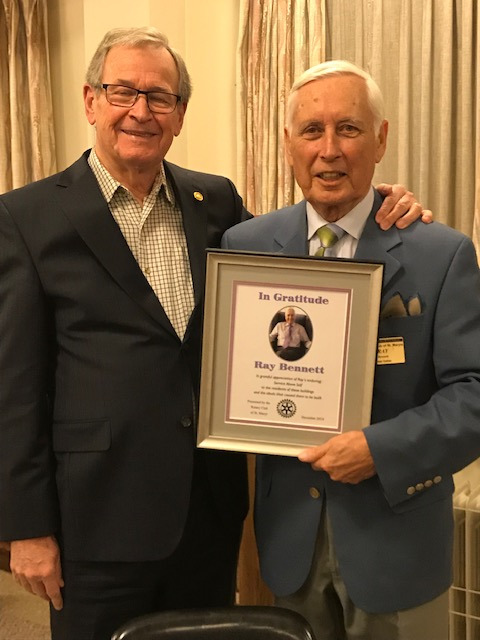 The plaque reads, “In grateful appreciation of Ray’s enduring service above self to the residents of these buildings and the ideals that caused them to be built.” - St. Marys Independent- February 7, 2019 issue. These 4 pictures were taken by Linda Schuyler.